AddressThe address for this sale in Rochester Hills, MI 48309 will no longer be shown since it has already ended. Cash or credit card accepted. Credit cards require a 3% transaction fee. Some help will be available for large items, but best to bring your own. Not responsible for accidents on the premises. Please park in the open lot to your right as you enter the community. It is just past the first stop sign. 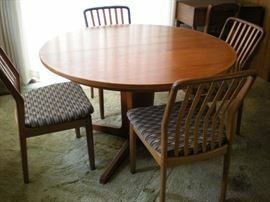 House of Denmark Dining table and 4 chairs, with two leaves for the table. Chairs newly reupholstered. 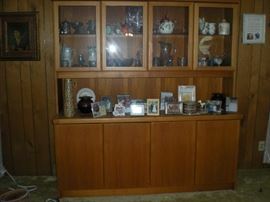 House of Denmark hutch. 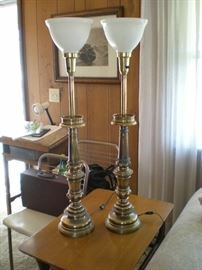 Top and bottom light up. Cutlery drawers on left bottom. perfect condition. 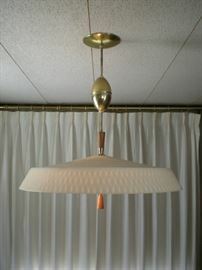 Lightolier ceiling light. adjustable height cord. One crack in the shade, but very good condition. 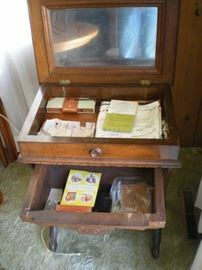 1950's Singer sewing machine in cabinet. Working machine. 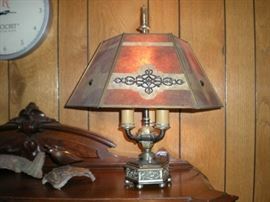 Mica shade table lamp, antique, and working. 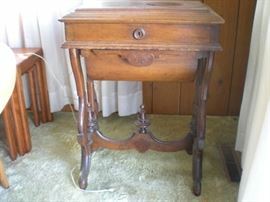 Antique vanity table with mirrored lid and drawer. 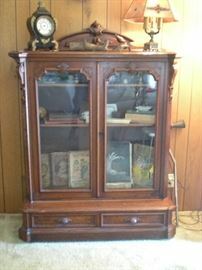 antique glass front cabinet. two lower drawers . 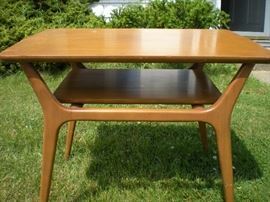 Mid century side table with lower shelf. Very good condition. 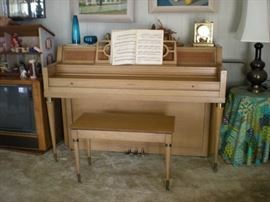 1950's Everett piano. Beautiful condition. Needs tuning. Mid century Emalox silver grey plates and bowls. Sterling silver Dansk candle holders, (6), with skinney taper candles. Limoges china set for 6, maunfactured for J.L. Hudson's. Detail of Limoges Hudson's china. Tupperware Jell-o molds, part of a HUGE collection of vintage Tupperware. Fiestaware serving platter, and Nemadji vase. Mid century 9 drawer dresser. Perhaps Basic Witz. 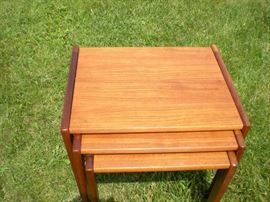 Two midcentury nightstands, match the 9 drawer dresser. Complete set of french provincial bedroom furniture. 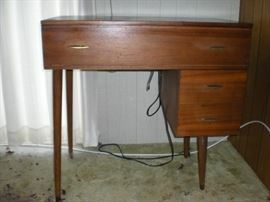 Dresser, desk, tall boy dresser, two nightstands, Blanket chest and twin canopy bed. Vintage liquor and vintage drink recipe books. Vintage barkcloth draperies. 6 extra wide panels, lined. Building bricks, the precursor to Lego's! Very large box full! Just a sample of the many ceramic pitchers and other tabletop pieces. Vintage Argos speakers. Working beautifully. Homemade speaker cabinet with Jensen speaker.